After you have been a Permanent Resident in Canada for a minimum of 3 years and physically present in Canada for three out of the past four years, you are then eligible to apply for Canadian citizenship. Canadian citizenship applications have been taking around two years to process from start to finish since 2012. However, proposed changes to the Citizenship Act will reduce this processing time to around one year or less for most applications in the near future. Every applicant for Canadian citizenship between the ages of 14 - 55 must take a test to demonstrate their knowledge of Canadian laws, government, and culture. The citizenship test is given in either English or French and is multiple choice. The applicant must get 15 our of 20 questions correct to pass the citizenship test. Which is NOT one of the three parts of Parliament? The correct answer is C) The Prime Minister. Canada's system of government is a Parliamentary Democracy. The correct answer is A) True. 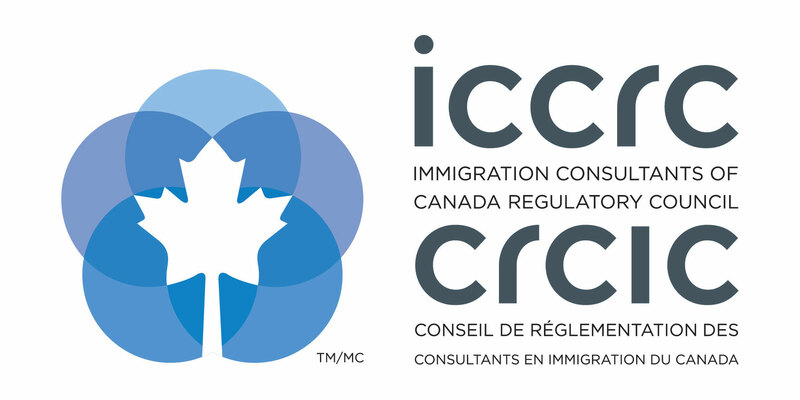 In order to study for the questions on the citizenship test, every applicant is sent a study booklet from CIC when their Canadian citizenship application is received. 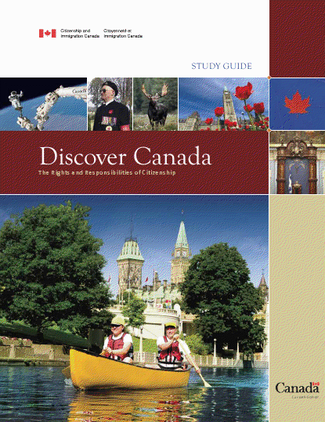 This booklet, called Discover Canada, is 68 pages and contains all of the information that could be covered on the citizenship test. It also includes citizenship test practice questions and a list of topics very likely to appear on the citizenship test. The Canadian citizenship application itself requires a number of supporting documents. You have to include copies of your immigration documents like PR Card and Record of Landing, IDs like your driver's license or health card, and passports. You also have to prove that you meet the language requirement for Canadian citizenship. Everyone between the ages of 14 - 55 who submits a citizenship application must show that they have knowledge of either the English or French language. Finally, in order for your Canadian citizenship application to be accepted by CIC, you have to show that you were physically present in Canada for three out of the last four years. Time spent outside Canada with a Canadian spouse or for a Canadian employer does not count toward the residence requirement for a citizenship application.